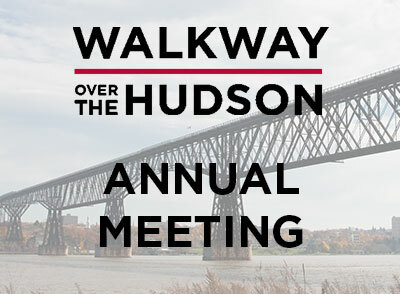 The Board of Directors of the Walkway Over the Hudson cordially invites its membership to attend the Walkway Over the Hudson Annual Meeting to be held on Wednesday, December 12, 2018 at 5:30 P.M. 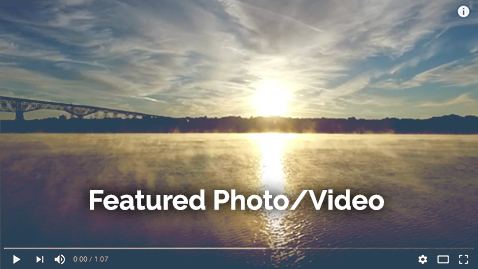 Parking is available on the street, in the City of Poughkeepsie municipal lot on Delafield Street, or at Astor Head Start on Delafield Street. Business to be conducted will include the election of the Board of Directors, an update on our progress during the past year, and a discussion of our future plans. The annual meeting is open to all who have paid memberships in 2018. If you cannot attend in person, please contact proxy@walkway.org no later than Tuesday, December 11 to arrange a proxy vote.